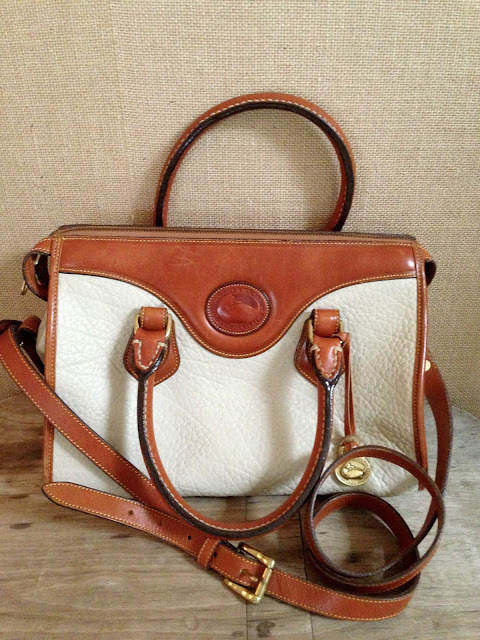 Dooney & Burke Satchel trimmed in British Tan with attached shoulder strap. 11 3/4" x 7 1/2" x 4 3/4"
It is virtually brand new having only been carried a handful of times. Pebbled Bone AWL with British Tan Trim is a rare combination making it a coveted classic. Definitely a bag with staying power!